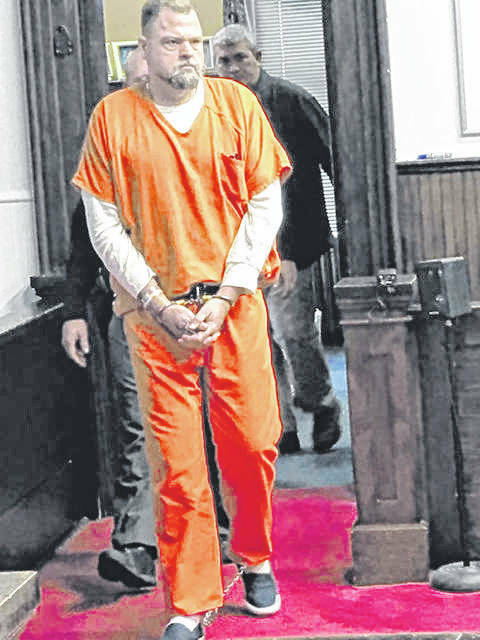 Handcuffed and dressed in a bright orange jail jumpsuit, family patriarch George Washington “Billy” Wagner III appeared Thursday afternoon in the Pike County Court of Common Pleas for a brief, roughly nine-minute, pretrial hearing in the infamous Rhoden murder case. 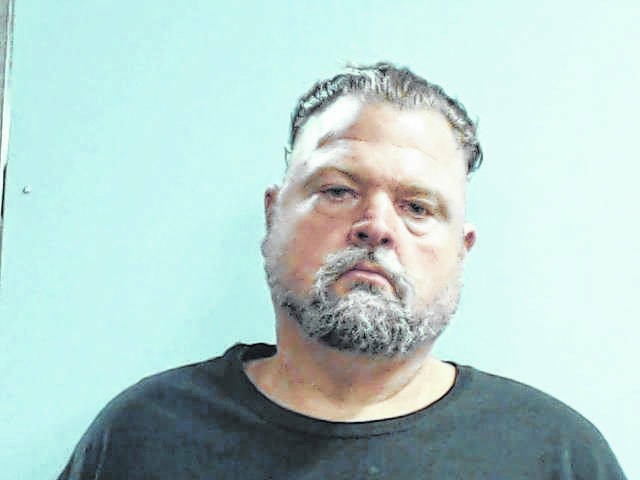 As are his wife and two sons, Wagner III faces eight counts of aggravated murder, one for each person who died in the 2016 Pike County shootings. Each count carries the possibility of the death penalty. As has been the case in most of the other Wagner pretrials, Wagner III’s appearance seemed perfunctory and more of a formality than anything else. However, more may be taking place behind the scenes than was previously believed and the amount of discovery discussed during the pretrial may offer a hint as to the scope of the trial and related law enforcement investigation. Prior to Thursday’s hearing, Wagner III’s court appointed defense team filed 41 pretrial motions, with more expected to come in the following months. Court of Common Pleas Judge Randy Deering took no action on the 41 pretrial motions he said had been referred to as “procedural motions” by the defense. Deering said prosecutors have until the end of February to respond in writing to those motions and set March 29 as the date for oral hearings on whatever motions have not been decided prior to that point. According to the Common Pleas website, those 41 motions address issues ranging from the constitutionality of Ohio’s death penalty laws to a request to exclude photos of the deceased from the trial. Wagner III’s attorneys have asked for an extensive jury selection process. Judging from the motions, the defense team is asking for the dismissal of any potential jurors who express strong opinions in favor of the death penalty. At the same time, they asked Deering to block the prosecution team from certain challenges regarding potential jurors with questions regarding the death penalty. Regarding discovery, which is essentially the defense team’s request for any information held by the prosecution regarding the case, defense attorney Mark Collins stated the defense side had, just that afternoon, received 30 gigabytes of materials from prosecutors. Collins described that amount as a “small chunk” of the information asked for by the defense. “We are happy to have this, and we look forward to starting the process of going through it, having our investigators go through it and sharing the information with our client,” Collins said. Collins stated in the future, he expects to receive hard drives full of information from prosecutors. Citing the massive amounts of information being asked for in discovery, the defense made a motion to extend the time period for pretrial motions, giving them the opportunity to review information coming from prosecutors. Deering approved that motion with no objection from Pike County Prosecutor Rob Junk. Deering added a final date for introduction of pretrial motions will be set sometime in the future. According to documents later obtained by the Daily Times, discovery already requested covers a wide array of materials including autopsy reports for seemingly each of the victims, including x-rays of those victims, as well as autopsy photos, which in the instance of one lone victim numbers 140. Further materials listed include, for example, 530 photos from a search of 260 Peterson Rd., the site of some of the murders. The defense team also asked for photos from each of the other murder sites, along with what’s named as 3D scans of those murder sites. The discovery list totals the amount of materials asked for in at least two places in the paperwork provided by the court. At one point, the total reaches 2,448 pages, two videos, 18 audio files and two 3D scans. A second running total lists 2,665 pages plus one video. The court also provided copies of each of the individual motions filed by Wagner III’s defense team. Those pages are not numbered but easily run into the hundreds. Court provided information on pretrial activities of attorneys for Wagner III’s wife Angela are similar in context and volume. One expects information sought by and motions filed by defense attorneys for sons George Wagner IV and Edward “Jake” Wagner look very similar. On Thursday, Wagner III’ attorneys made several oral motions during the pretrial hearing. Among other things, they asked for the court to allow in person visitation by defense investigators. Deering granted that request but held off on okaying a motion for videoconferencing between Wagner III and his attorneys. Deering said in the interest of furthering communication between the suspect and his attorneys he was inclined to grant the request but wanted to first investigate the cost of such videoconferencing. At the request of defense attorneys, Wagner III will be allowed in-jail visitations by his sister Robyn Wagner, who is not a suspect in the case. Wagner III was ordered not to discuss the case with his sister during those visitations nor to ask her to take information to other suspects in the case. As has been the case with others directly charged with the murders, Deering barred Wagner III from any contact with any suspect in the case. The Daily Times erroneously reported earlier there were no further pretrial hearings set in the Rhoden case until March. Obviously, our information somehow excluded the first pretrial hearing date for Wagner III. The Daily Times regrets this error. As of this writing, the Daily Times have no reason to believe any further pretrial hearings are scheduled in the Rhoden murder case prior to March.